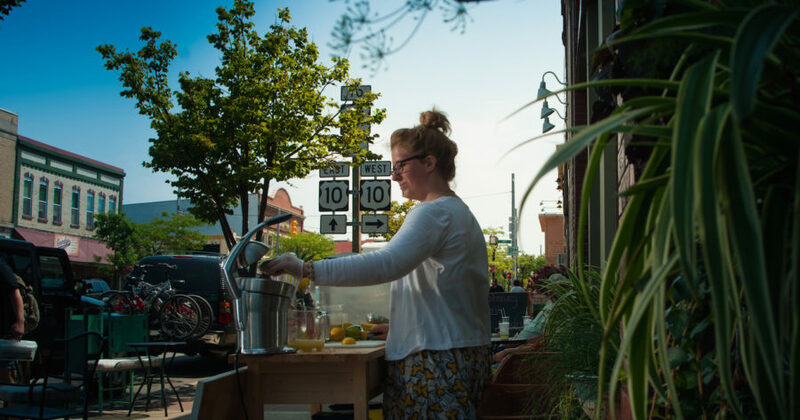 If you haven’t been to Ludington in a few years, you might not recognize the downtown—home to nine new foodie hotspots since March 2015 (and a not-so-secret nanobrewery a few miles from town). Get a taste of what’s been happening on the food scene. 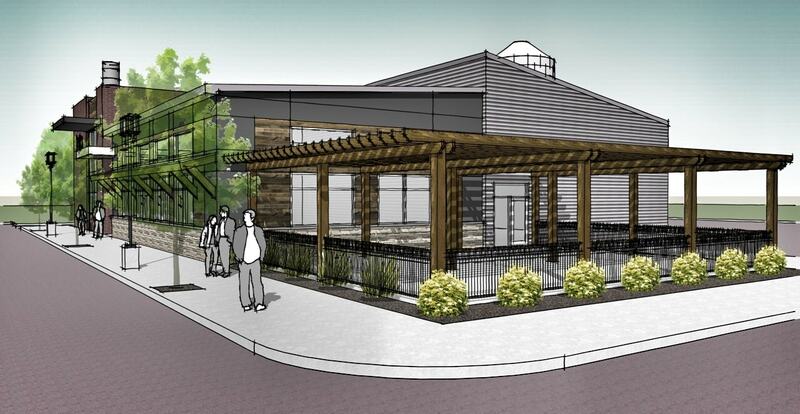 Opening in mid-May, this 1,800-square-foot tap room will have around 10 beers on draft when they open with plans to grow to 20-plus beers and ciders on tap—which you’ll also be able to enjoy on the almost 1,500-square-foot patio. 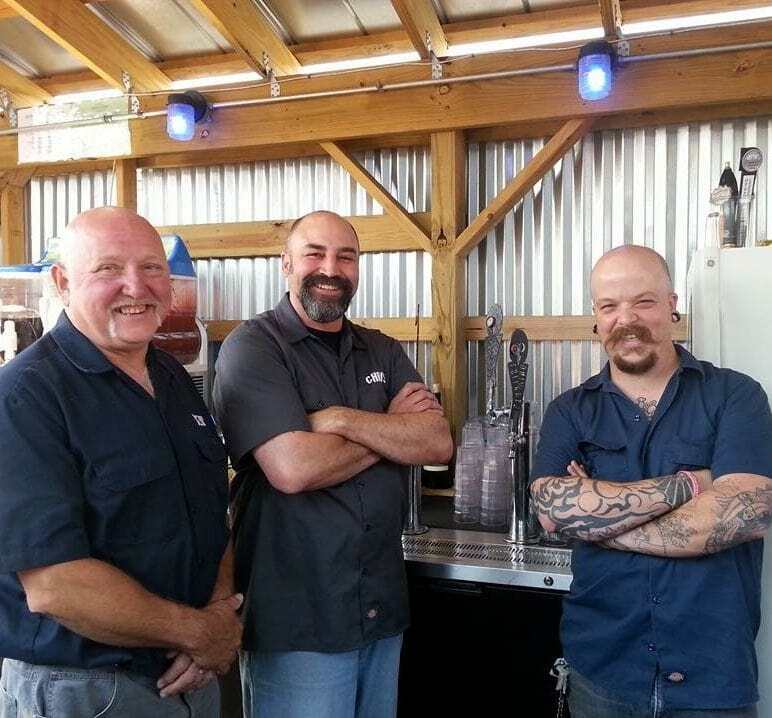 Brewmaster Tom Buchanan of Jamesport Brewing has joined the team along with Chef Robert White who will be firing out appetizers, soups, pizzas, grilled entrees, and sandwiches. Opening on December 27, 2016, Timbers was a late Christmas present to downtown. The new gastropub is located in the old James Street Station—the property has been a tavern or bar for 130 years. The two-story restaurant and bar has a stage for live music upstairs, space for private events, and a deck on the harbor featuring a smaller, take-out menu for boaters who want to dock and get food to go. The Sports Den and Martini Bar overlook Lake Michigan and the marina—prime spots to watch the sunset. Chow down on Charleston-inspired cuisine in an intimate, bistro setting, with (you guessed it!) 14 tables. Chef Howard Iles serves foods from states where he’s lived and trained—California, Maryland, South Carolina and Louisiana—like shrimp and grits, po boys, Charleston she crab soup, and steamed mussels. Stay tuned for their new wine bar opening this fall in the lower level. Enjoy a Bacon Squealer or Felony Fritter at the latest “precinct” in the Cops & Doughnuts chain. The original bakery was started by nine police officers in Clare and has expanded to locations across the state. The McDonald’s Precinct is located in Ludington’s historic McDonald’s Bakery, which has been in operation since 1898. Deck out your frozen yogurt with over 50 toppings like chocolate chunks, sprinkles, graham crackers, M&M’s, gummies, brownies and way more. The frozen yogurt and coffee bar features 12 flavors of Palazzolo’s frozen yogurt, bubble tea, smoothies, gourmet treats, popcorn and candy. There’s also a party room available for rent. This cozy take-out storefront is not only Ludington’s first Thai restaurant, but it’s a local favorite. Owner Lupe Rangel and his wife Ning, who hails from Thailand and cooks all the entrees, serve 8–10 savory dishes daily on the evolving menu like pad thai, drunken noodle, red and yellow curry, and spicy Thai basil. The region’s first production-only nanobrowery started in a retrofitted barn in a backyard somewhere in Scottville (6 miles from downtown Ludington). Enjoy owner Andy Thomas’ beer on tap at Blu Moon Bistro and Chuckwagon Pizza, or go on a quest to find the brewery and purchase beer on site in growlers, bottles or cans. Starving Artist has regular visiting hours on Fridays and Saturdays from 12–5 p.m., though visits and tours outside of these hours can be scheduled by appointment. The Ludington Pub joined the downtown restaurant scene in March 2015 offering a relaxed atmosphere with good food and live music. Stop by for 50-cent wings every Sunday or the house-specialty Jack Bacon Burger—a char-grilled burger patty topped with crispy bacon, jalapeños, pepper jack cheese, tomato, and mayo served on a pretzel roll. 5 Fresh Faces on the Food Scene—We’re Obsessed With These Restaurants!